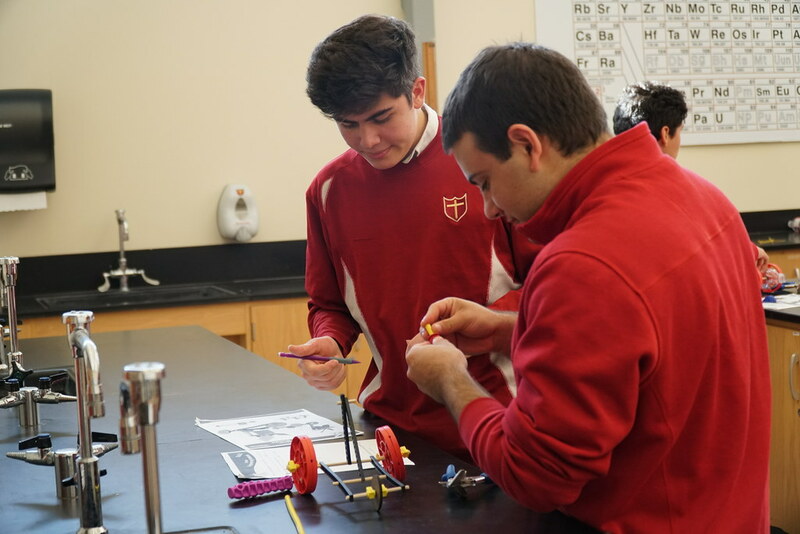 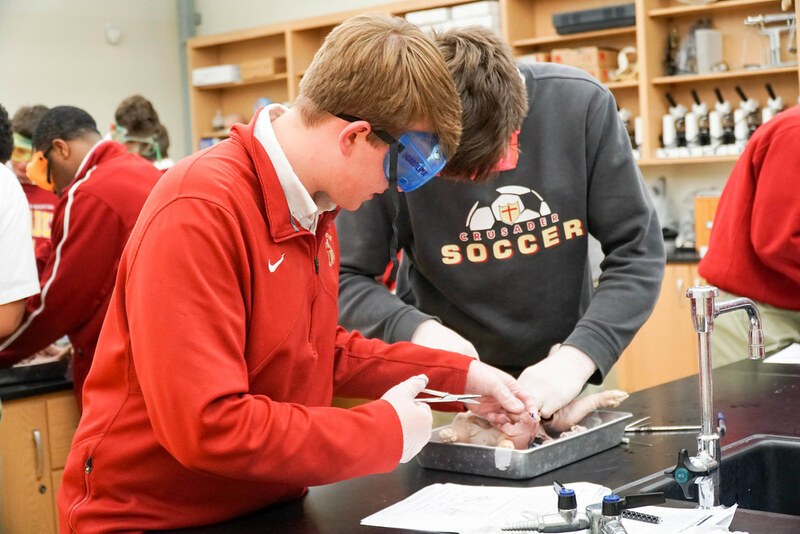 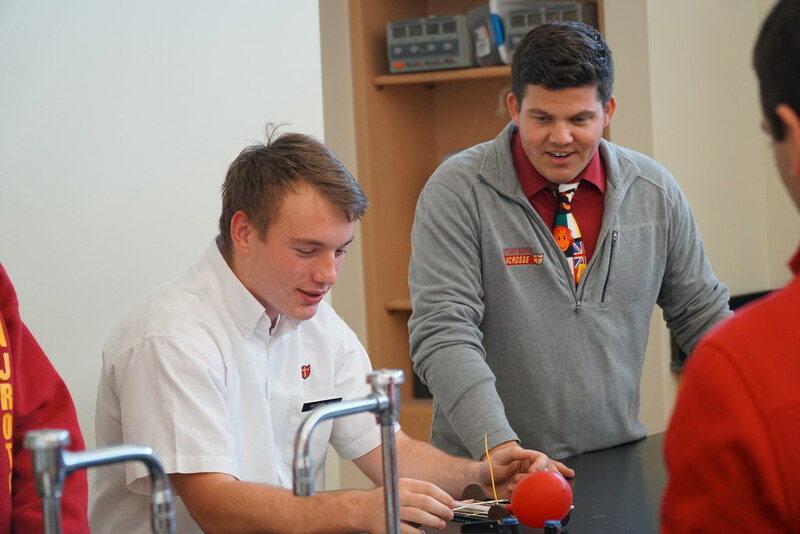 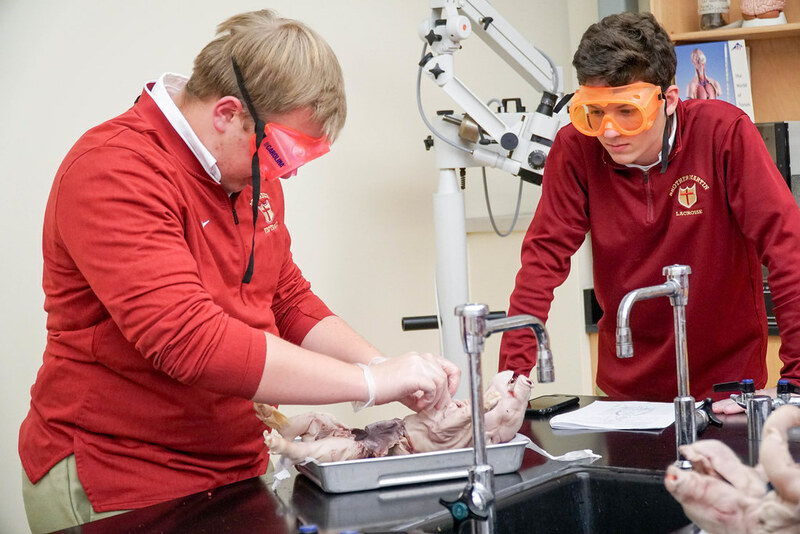 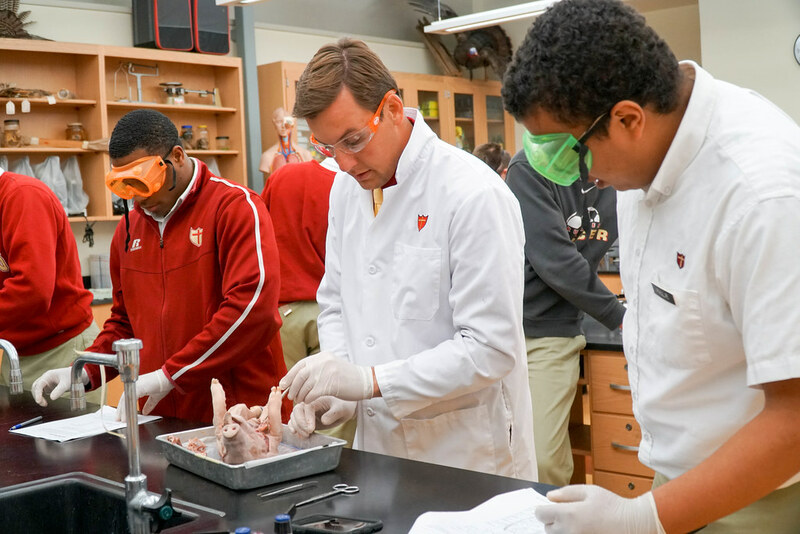 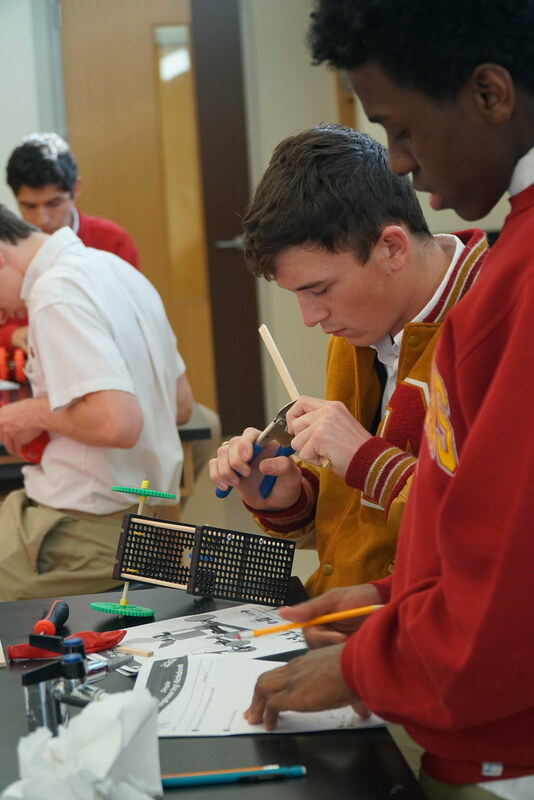 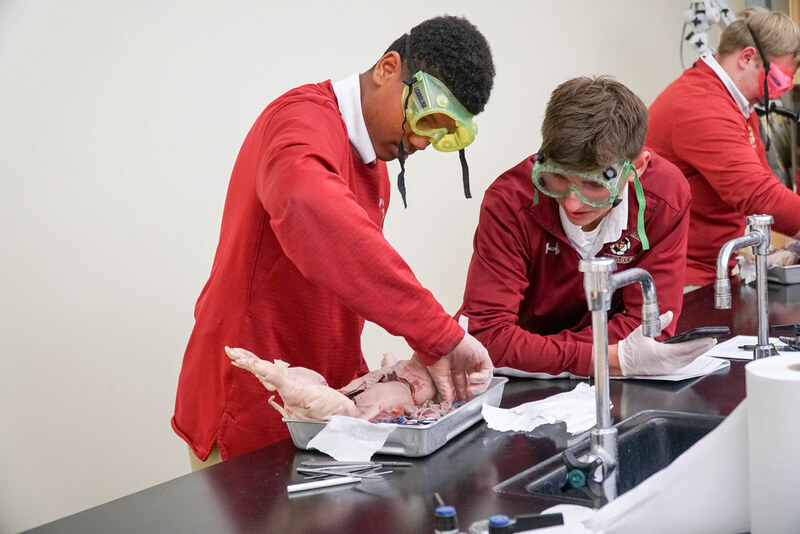 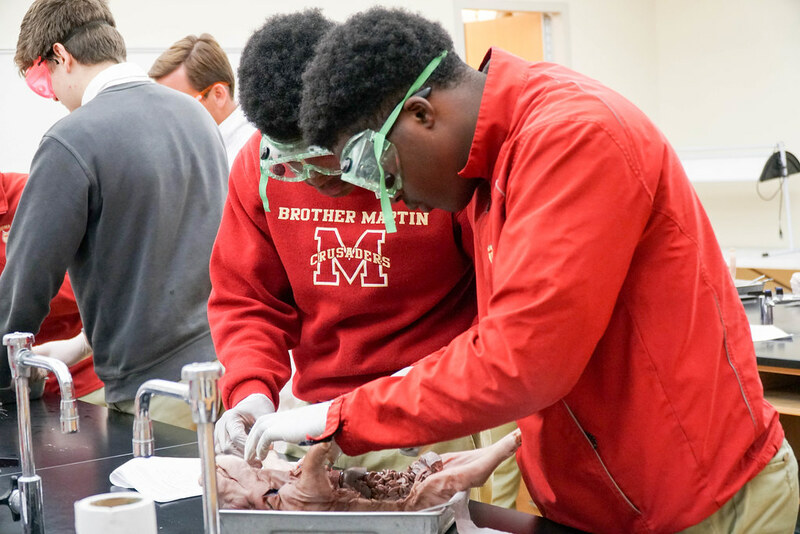 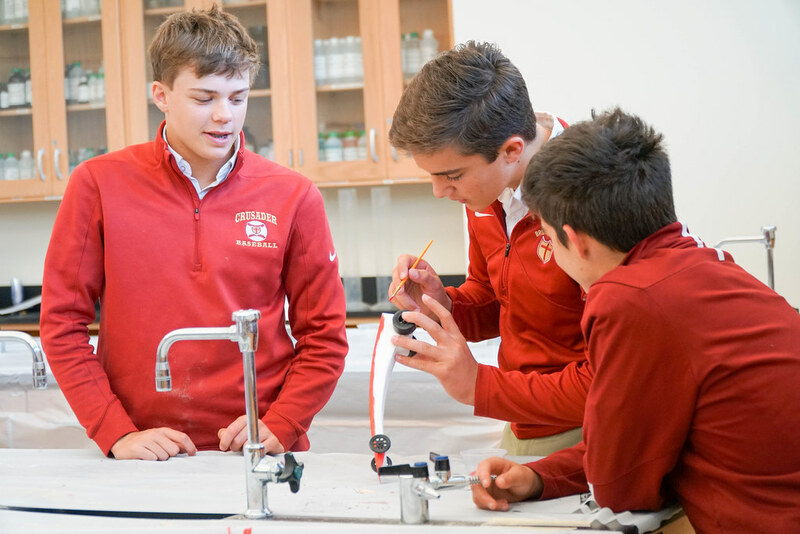 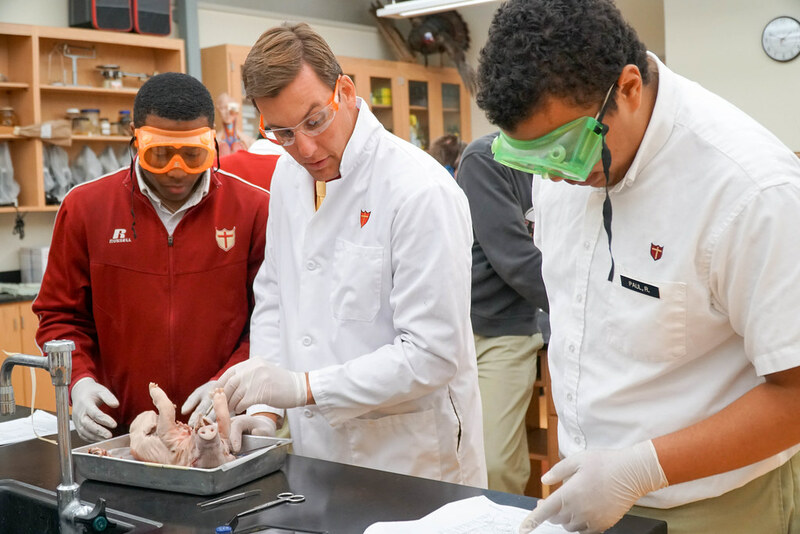 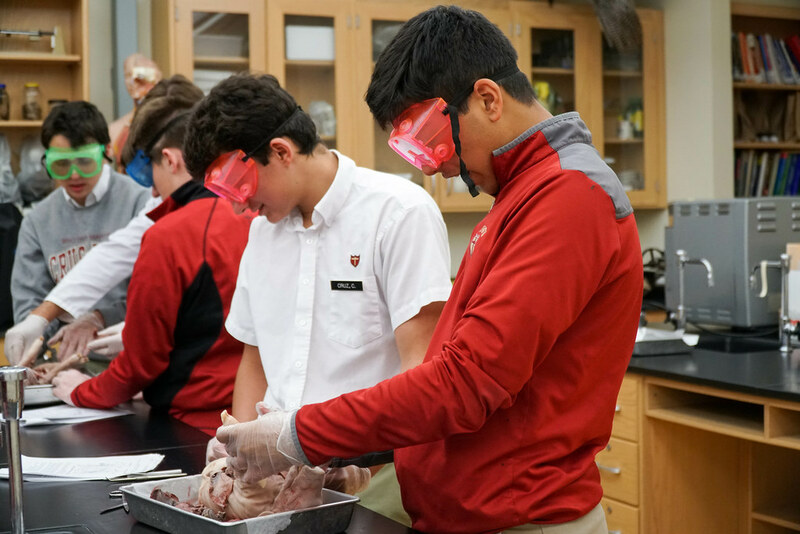 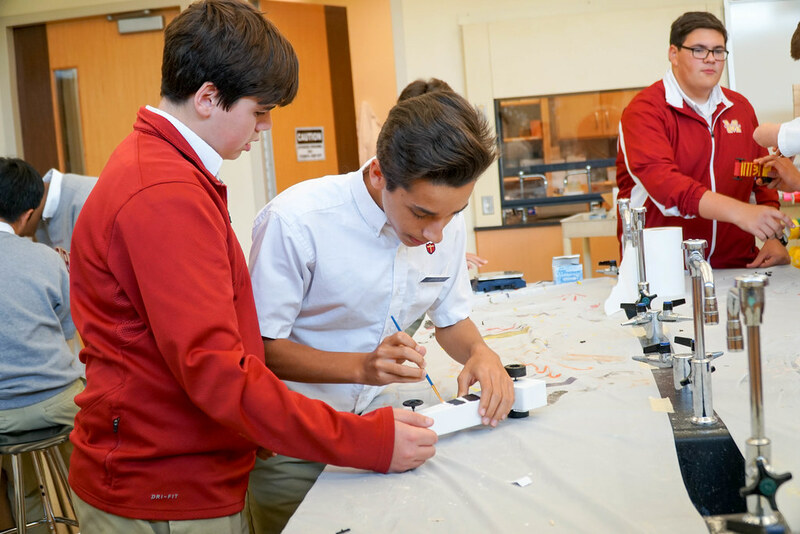 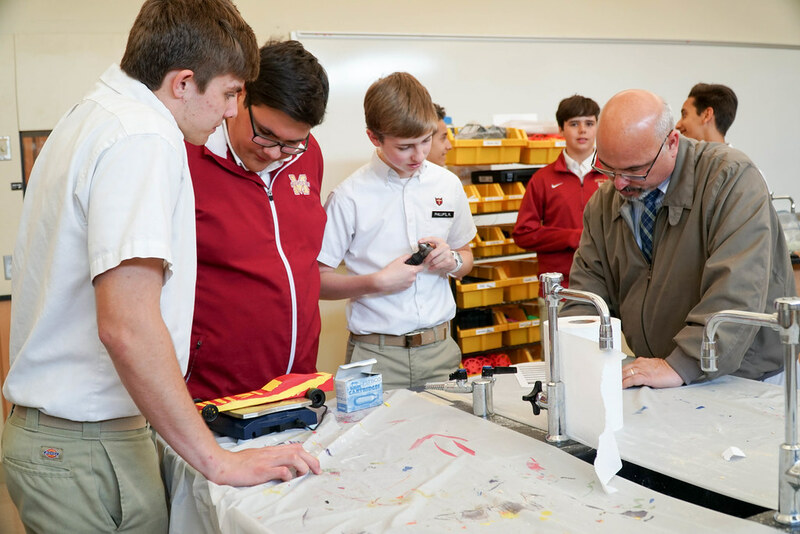 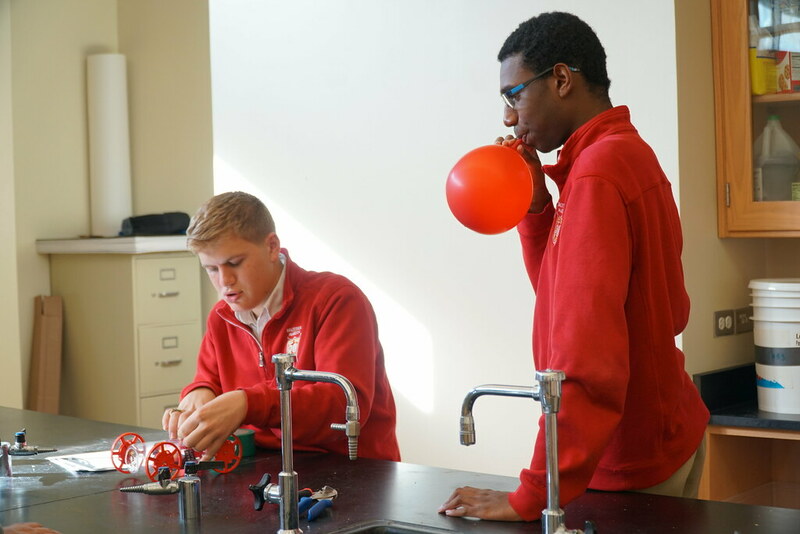 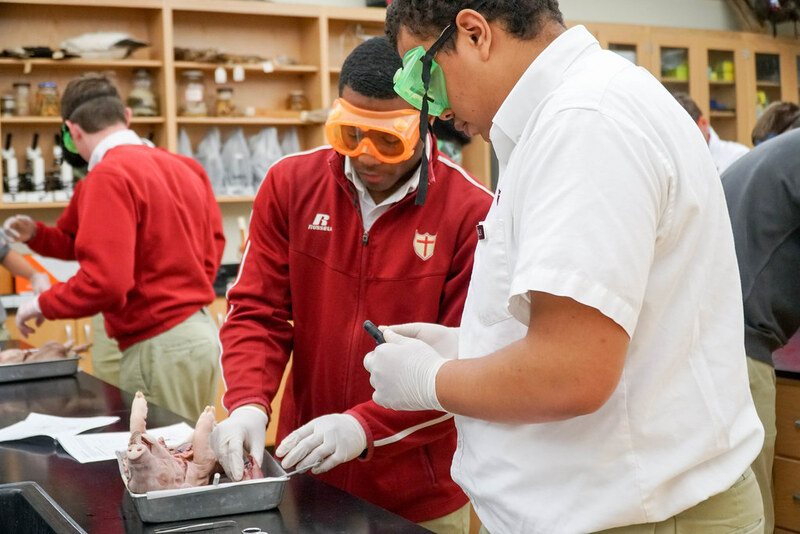 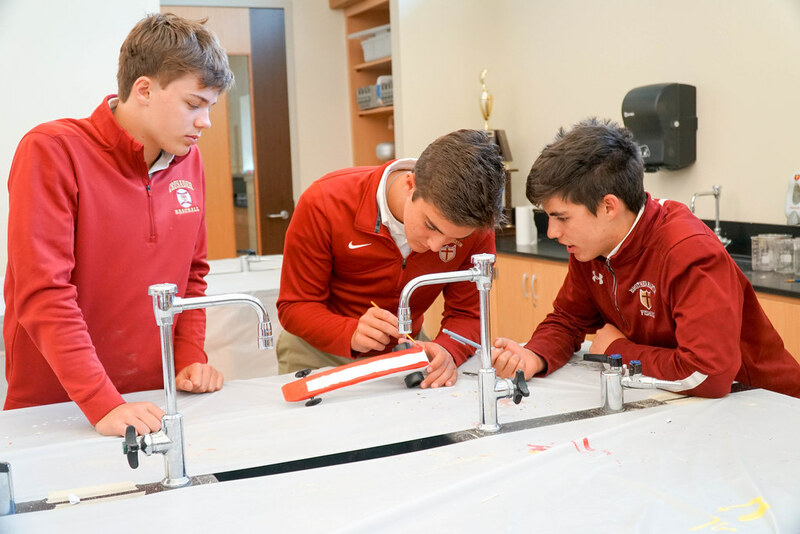 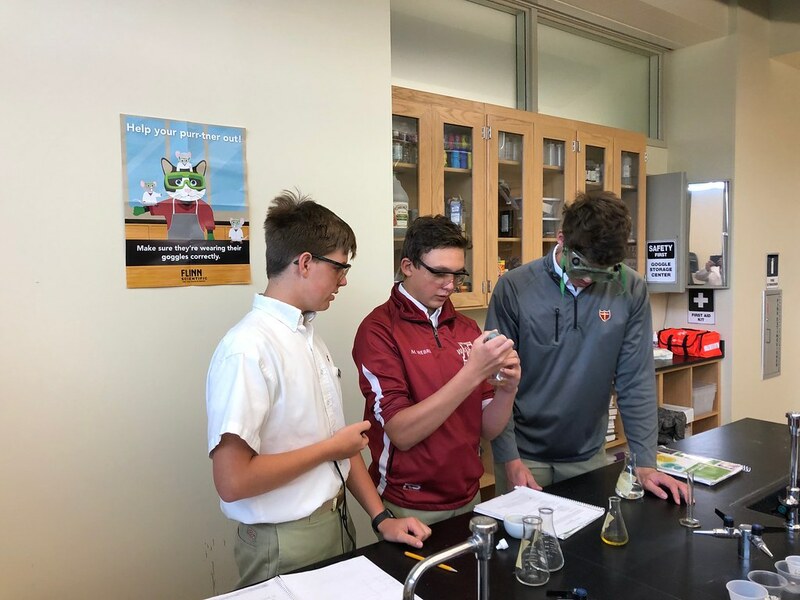 Brother Martin High School has always had a strong science curriculum, but this year we enhanced our existing science courses with the purchase of a STEM cart. 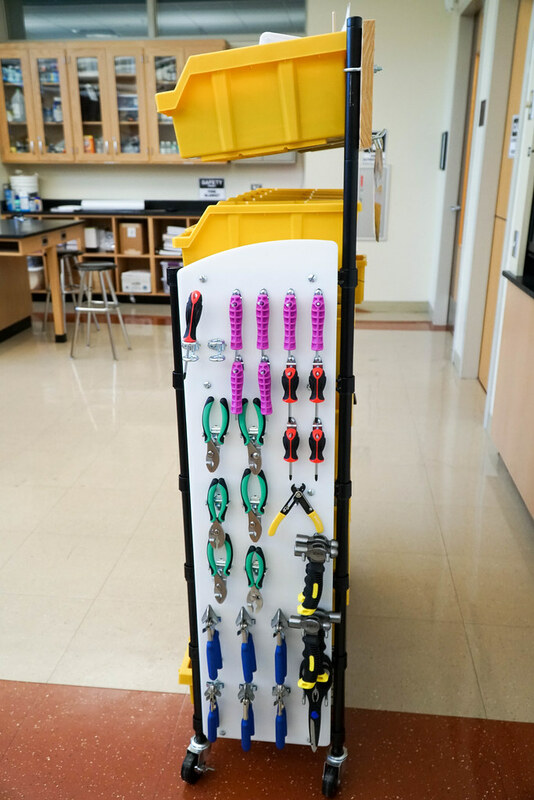 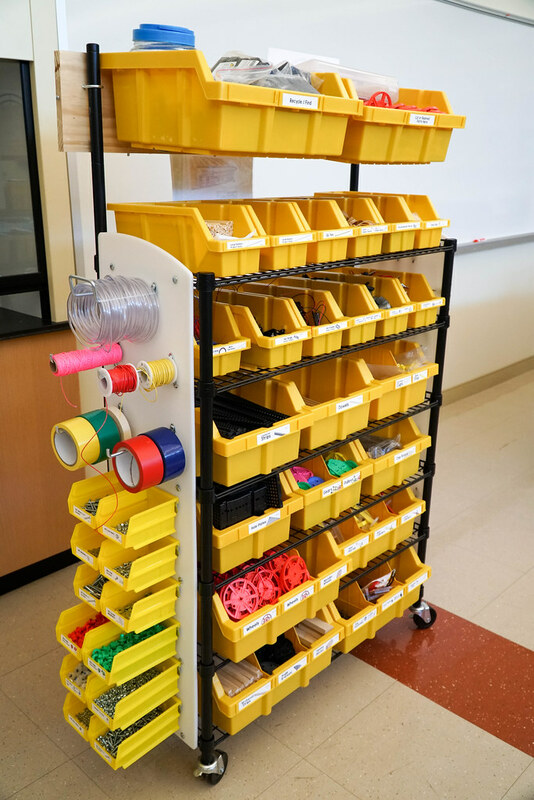 The STEM cart allows the teacher to roll the materials into their classroom or lab for the ultimate Maker/STEM solution. 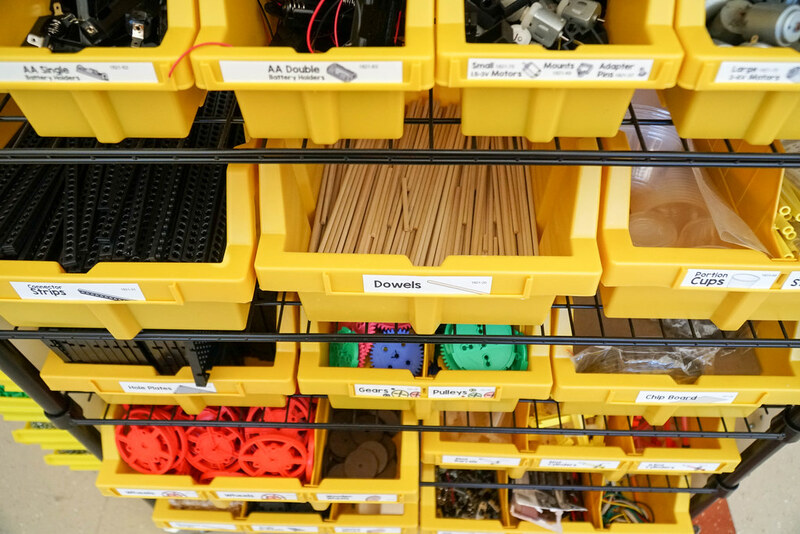 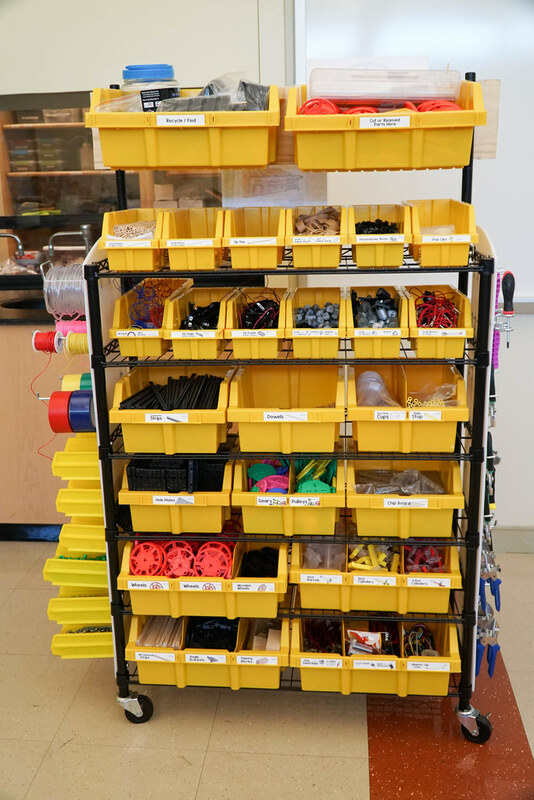 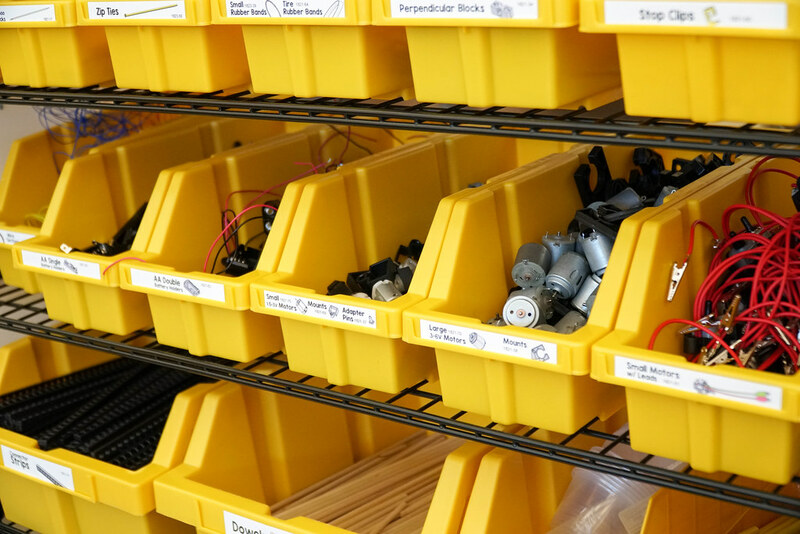 With over 40 STEM projects, this cart can easily support hundreds of our students simultaneously. 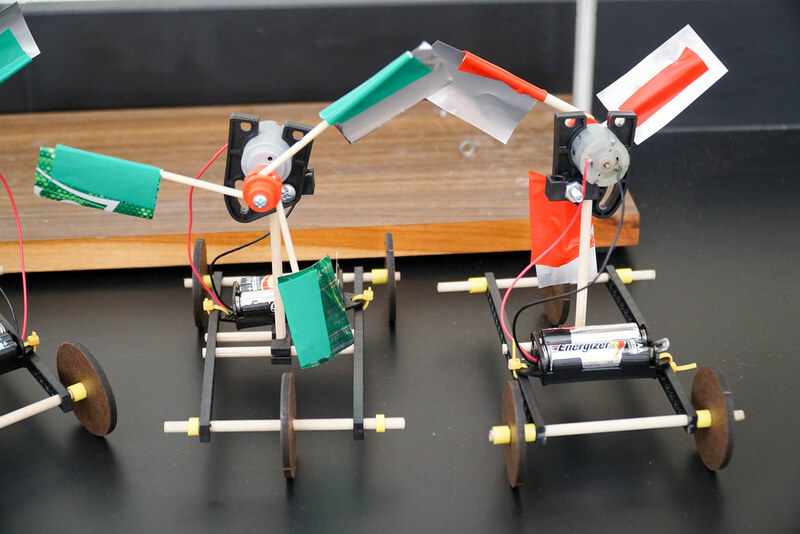 These STEM projects allow students to learn science and engineering concepts through experimentation and complete projects that utilize a design and engineering process. 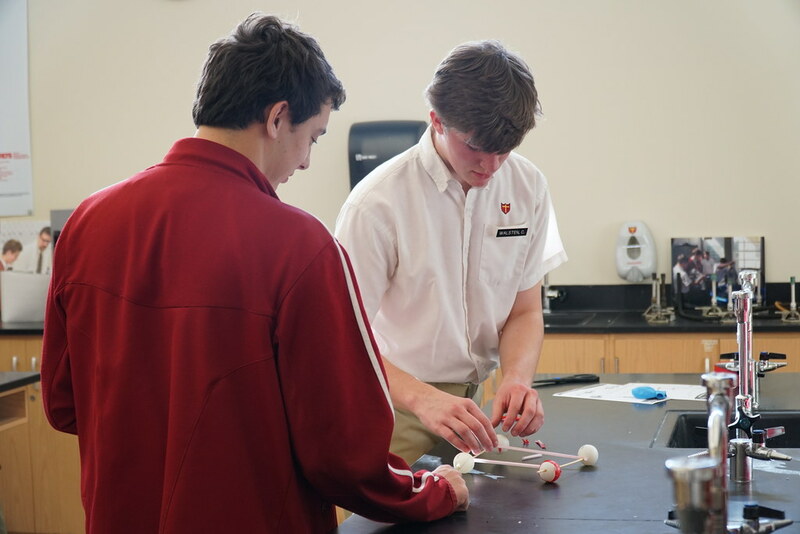 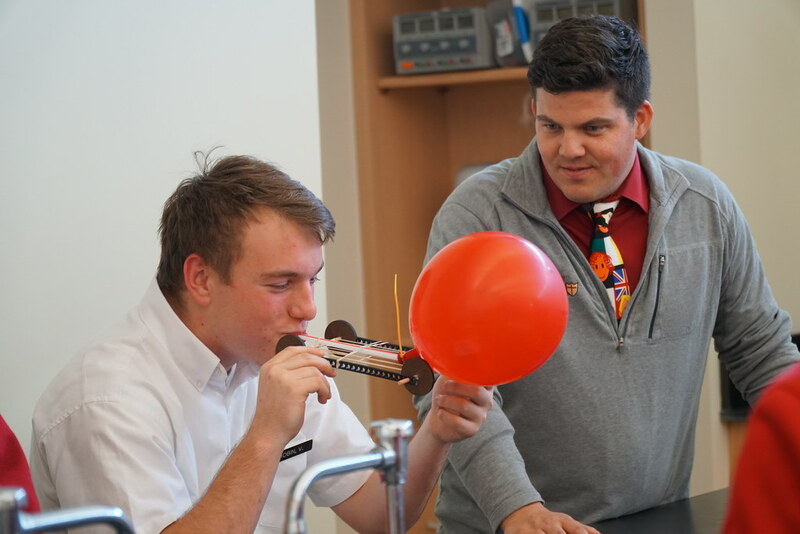 Conceptual Physics students have made projectile launchers, balloon cars, and rubber band cars. 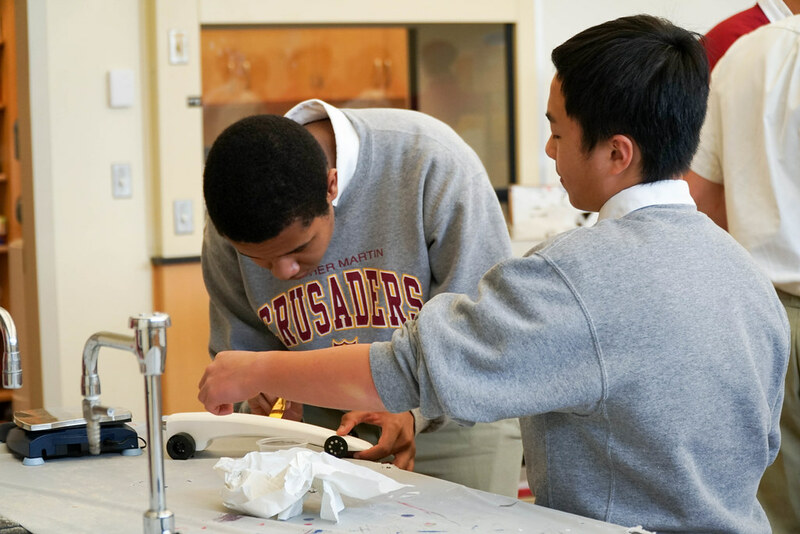 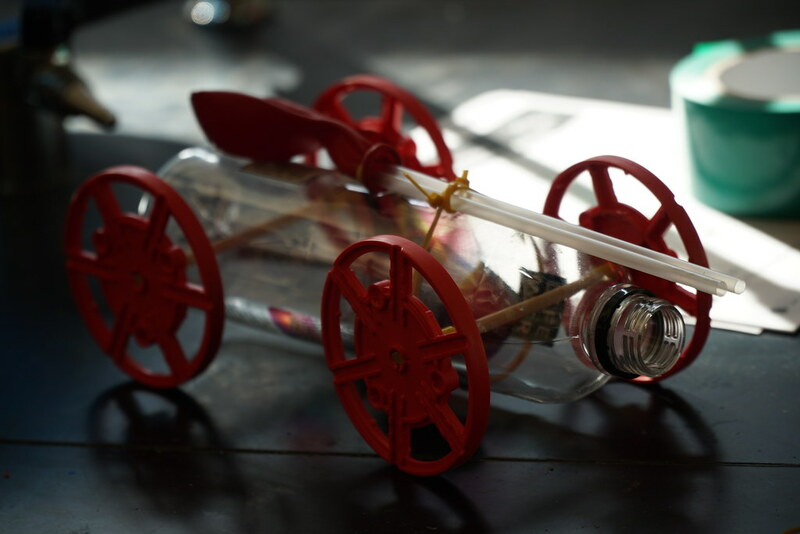 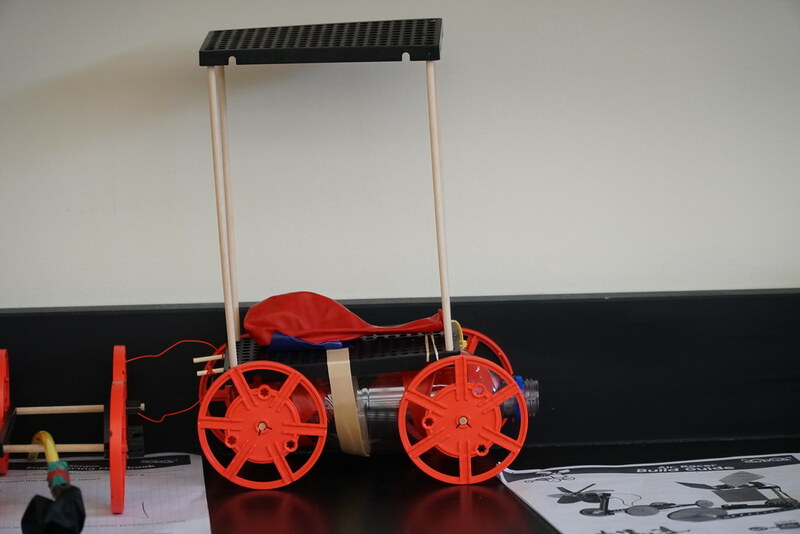 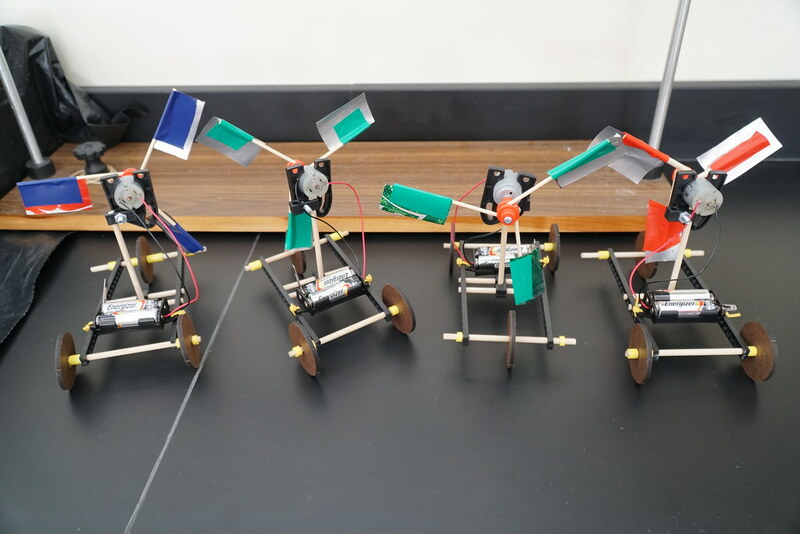 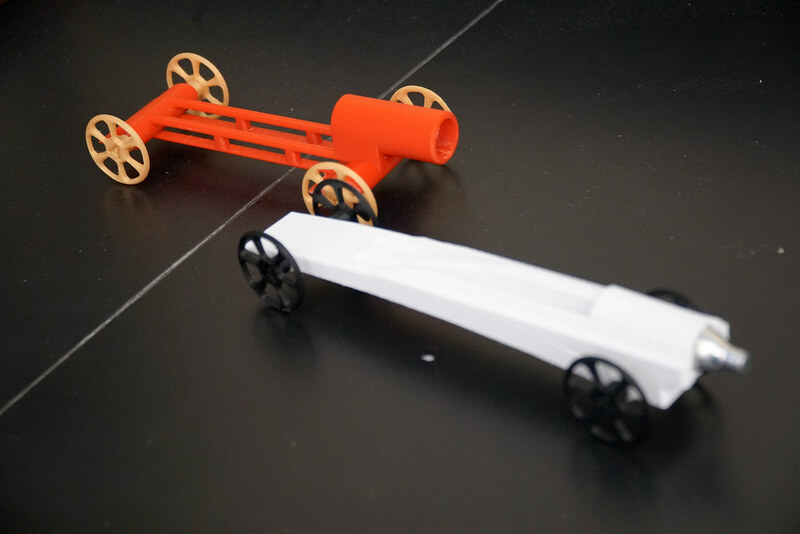 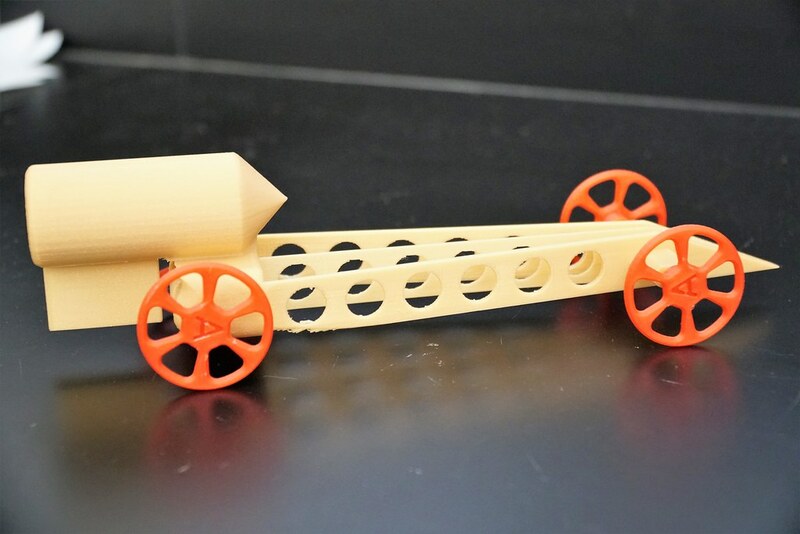 In some Physical Science classes, the students built and raced wind cars. 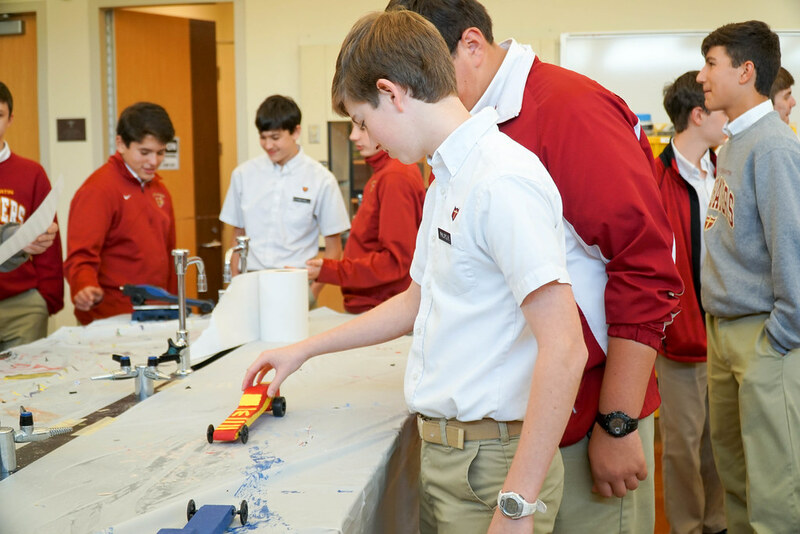 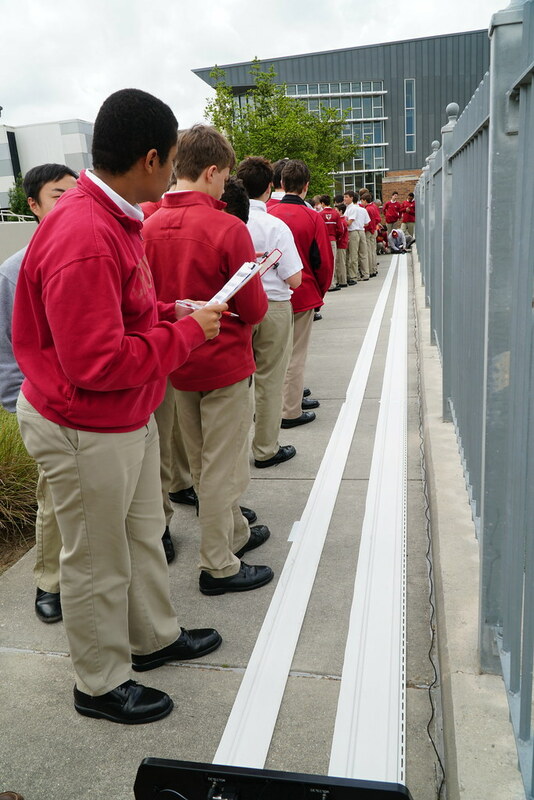 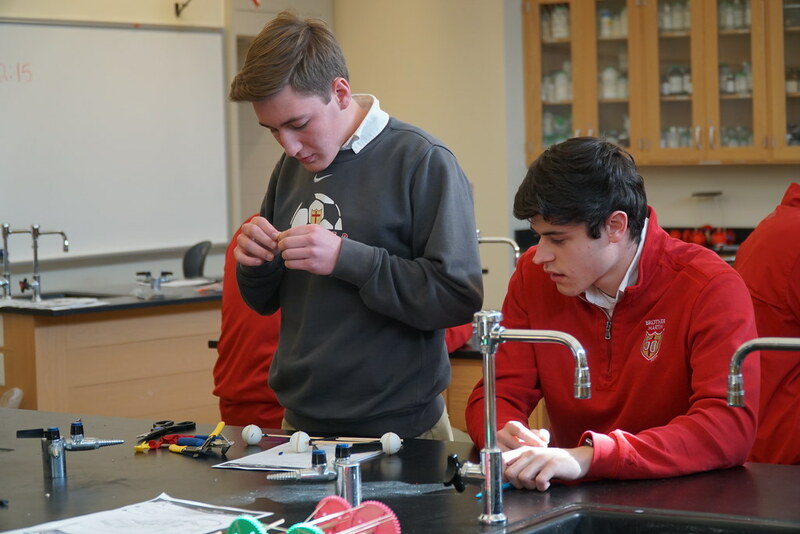 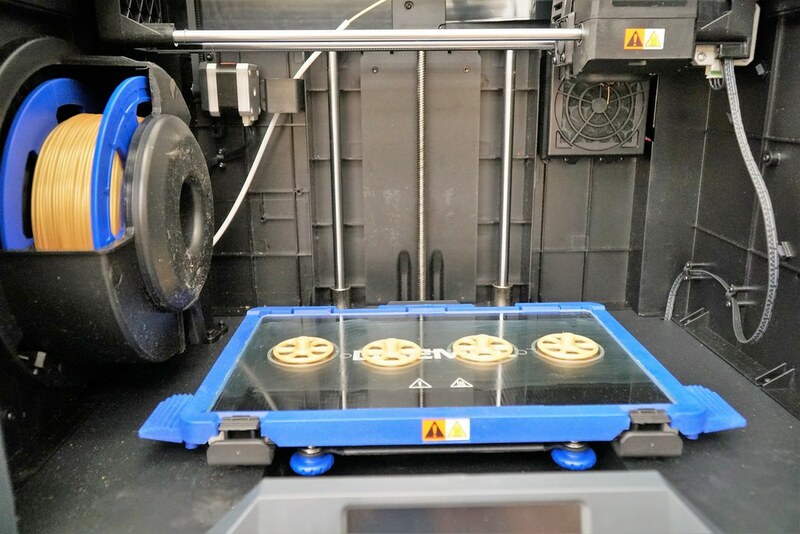 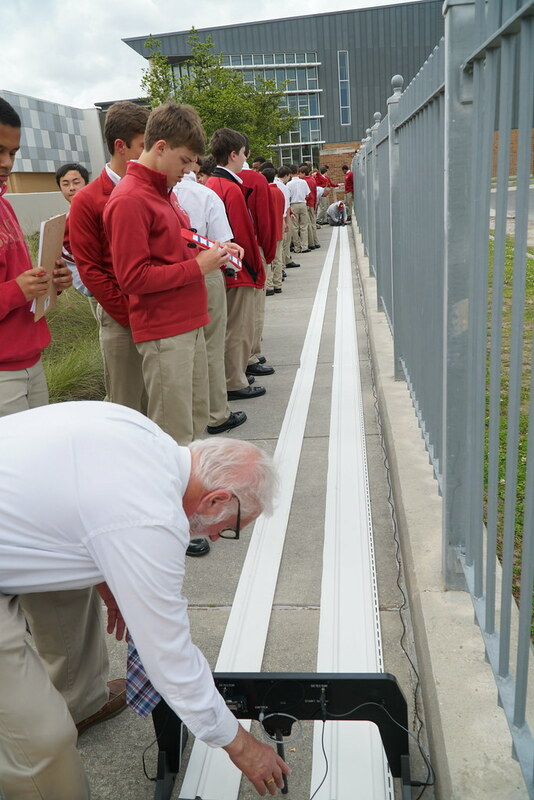 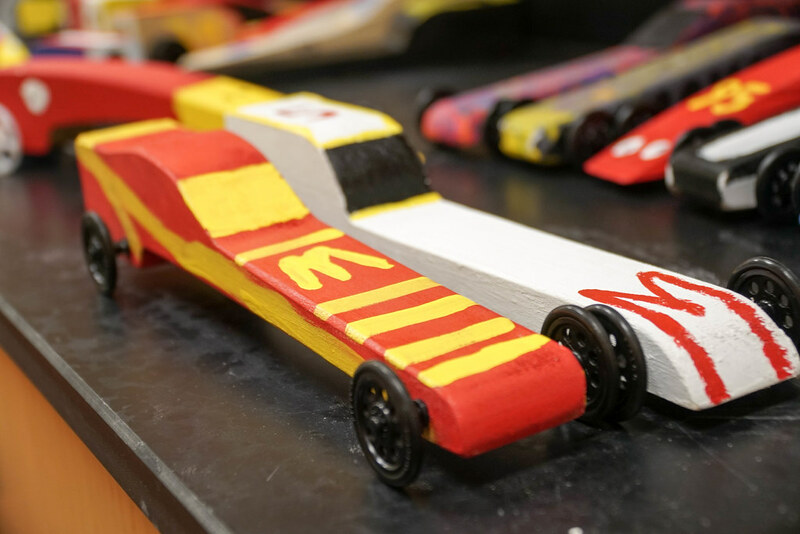 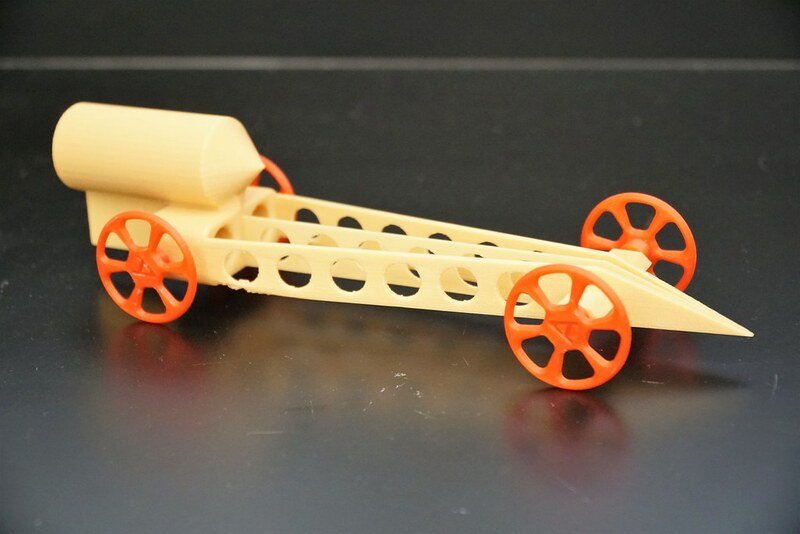 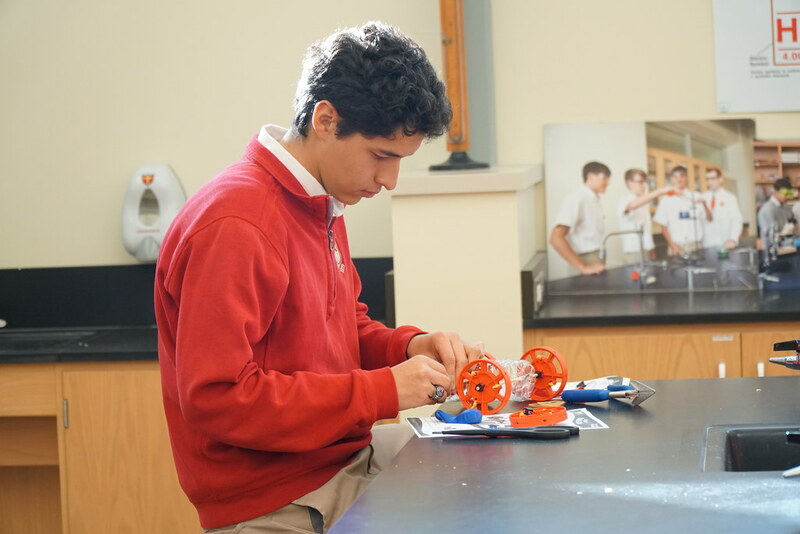 In Physical Science Honors and Physical Science classes, students used our 3-D printers to print race cars and then race them along the walkway near the Branton Chapel. 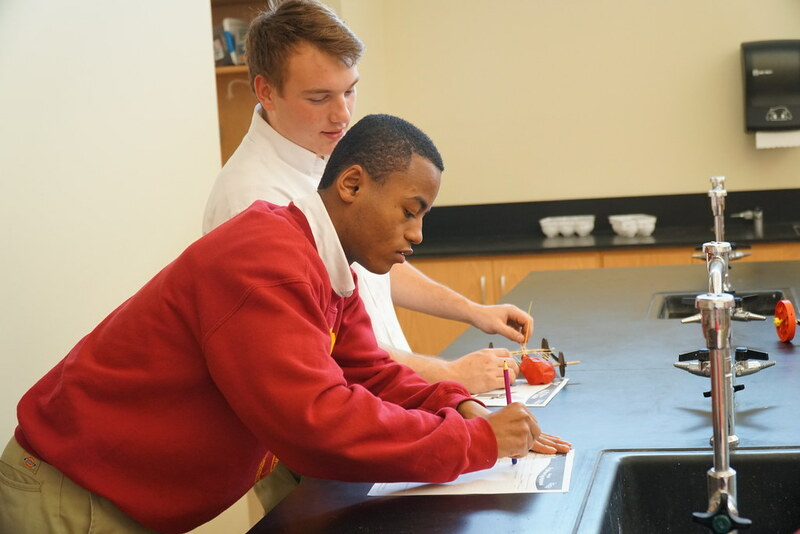 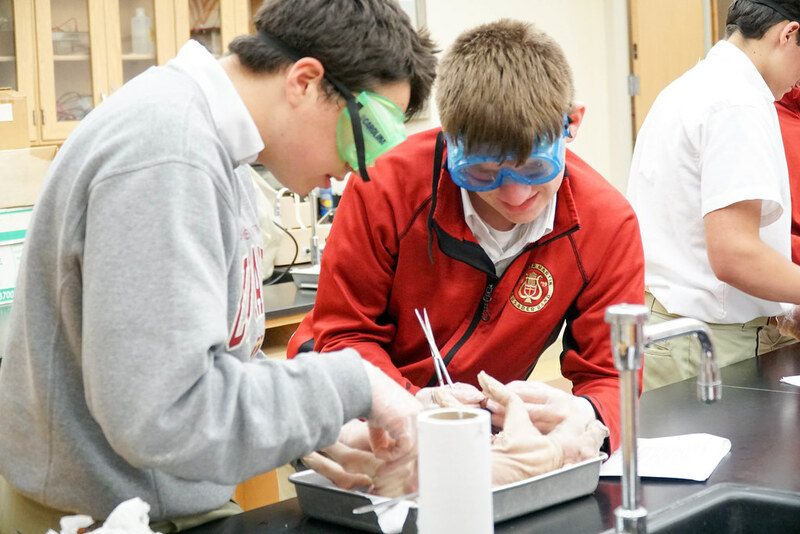 Biology and Biology Honors classes worked on Hardy-Weinberg percentages using class phenotypes while studying genetics. 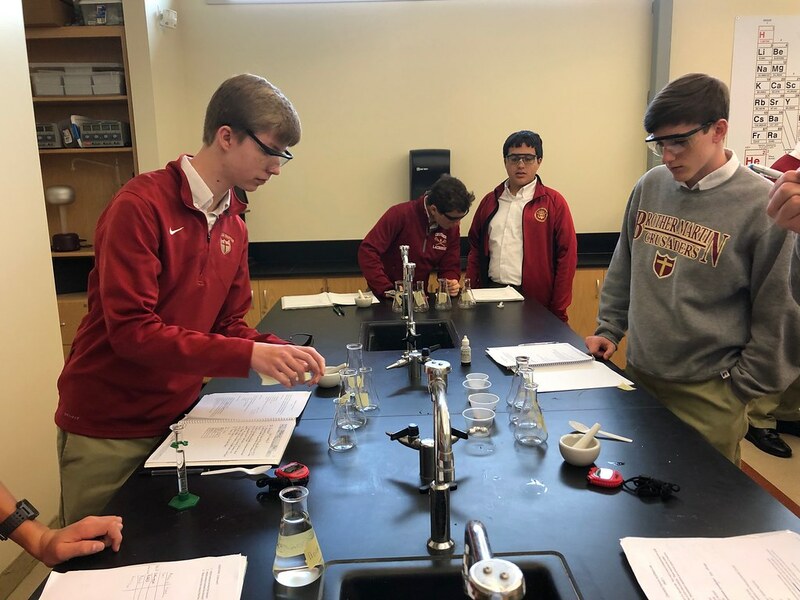 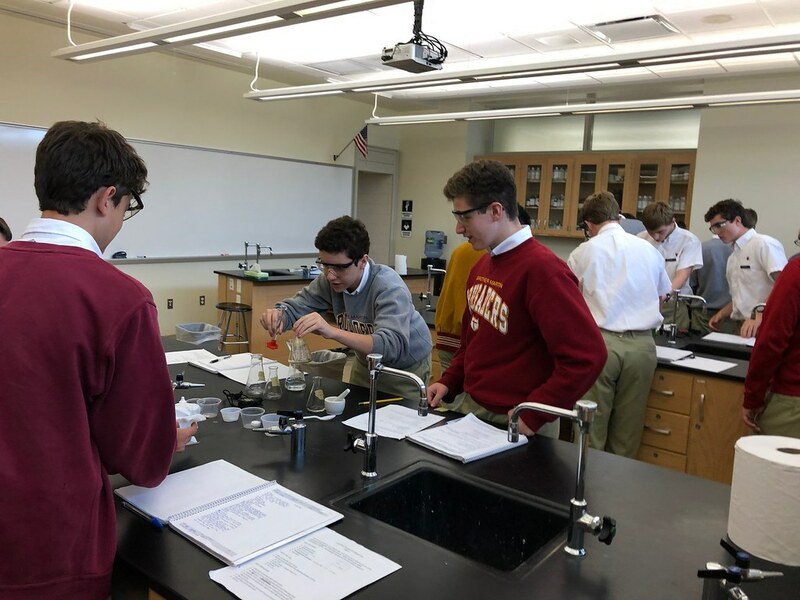 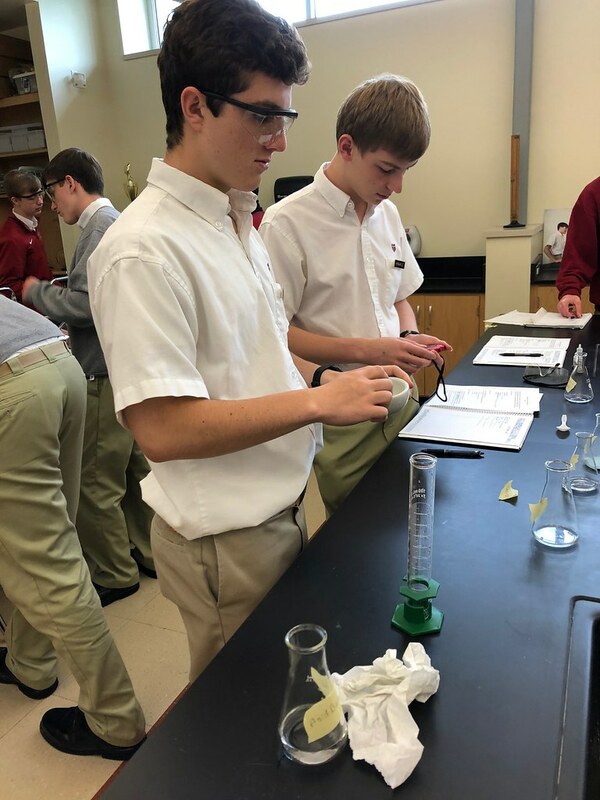 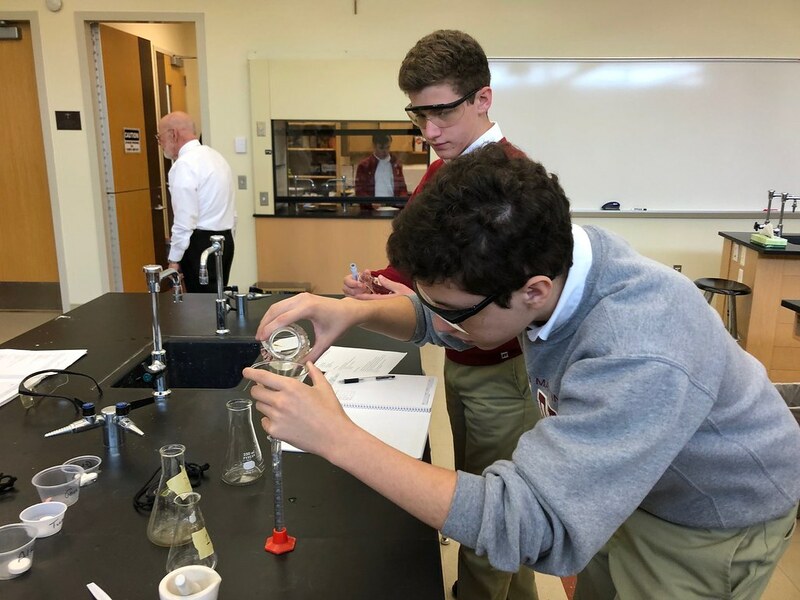 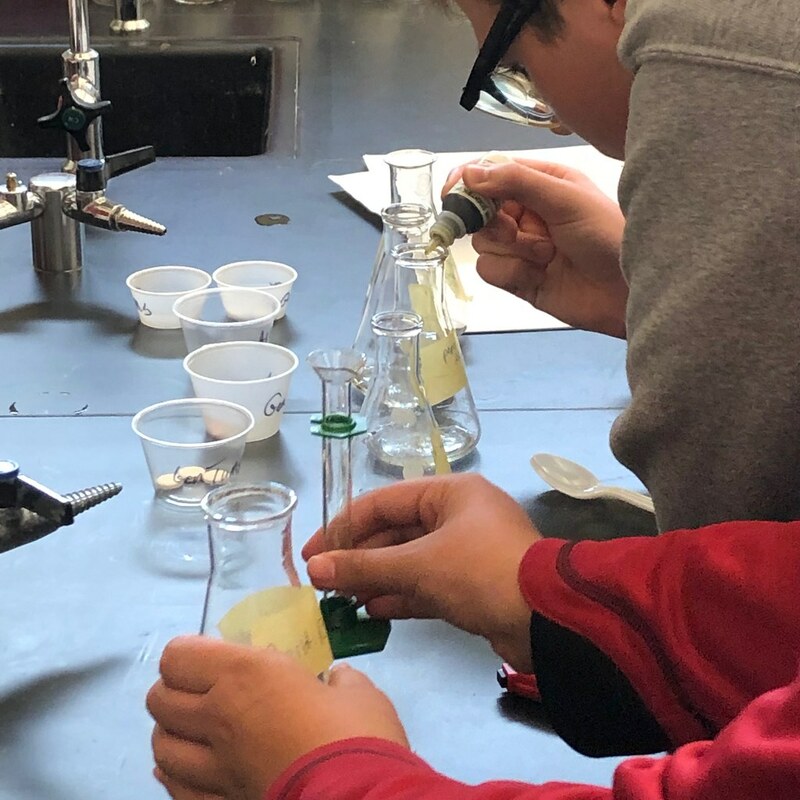 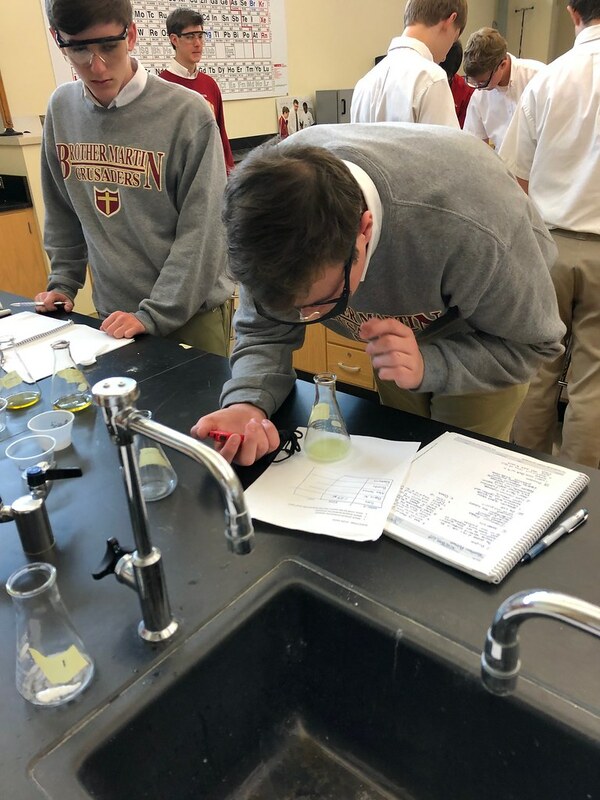 Chemistry students utilized STEM techniques to design their own acid/base titration experiment. 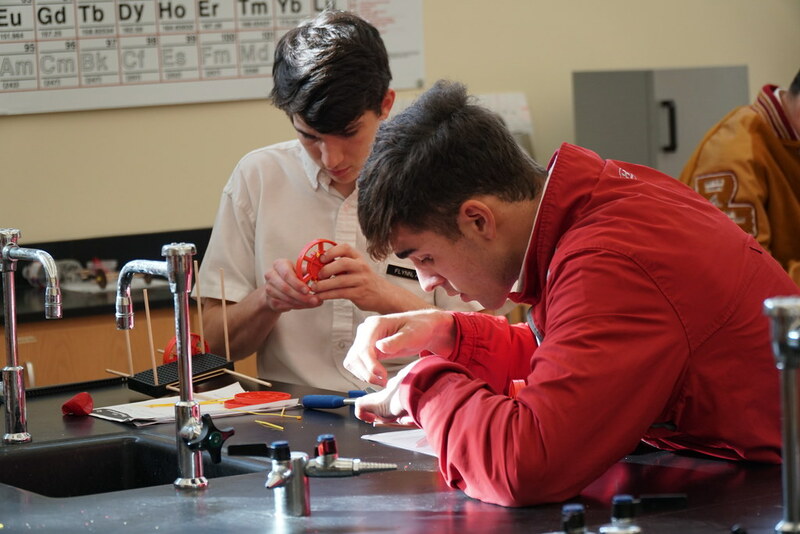 With all the changes happening in technology on a daily basis, our Science Department can now help our students continue to meet the needs of a changing world.